When anxiety strikes, it not only consumes the mind . . .
. . . it can take hold in the body as well. And chronic anxiety can contribute to a wealth of physiological problems, including chronic pain, fatigue, and insomnia – just to name a few. Below, you’ll see how Pat Ogden, PhD worked with a teenaged girl to release anxiety that was stored in the body. Pat is a pioneer in Somatic Psychology, and founder and director of the Sensorimotor Psychotherapy Institute. Check it out – it’s less than 4 minutes. Anxiety can be so limiting for our clients. It can leave people feeling isolated and hold them back from having meaningful relationships. But as Pat demonstrated, when we work skillfully with anxiety, it can help our clients develop confidence and embrace healthy change. So now I’d like to hear from you. What have you found to be effective in working with anxiety? Really touching . A sharing I can personally identify with. Very helpful. Thank you Pat. I am grateful for your deeply embodied approach. I worked with Feldenkrais practitioner, Rosen method practitioner, a very skilled massage therapist who teaches other massage therapists and knows patterns in the body, Hanna Somatic Practitioner. I have read Stanley Keleman’s Emotional Anatomy Atlas, Patterns of Distress, Embodying Experience, and other books that explain patterns in the body. In my experience Life Centered Therapy is the most effective and efficient form of releasing old patterns from the body https://lifecenteredtherapy.com/life-centered-therapy/. This was much later revealed through detailed X-rays…that the position of my cervical spine was permanently swayed to the left, due to very early developmental physical injury. I am only just thanking the chiropractor, who in 2017 dared to share those x-rays with me….you cannot SEE the head tip (I carry myself erect in space)–except in sleep–and sometimes I wake up with my neck locked to the left side. Now that the chiropractor has released the cervicals, I am able to, with two hands, one on c1-2 and one on C-6 -C-7….sort of bring my spine over to the center–by turning my head left to right simultaneously and ratcheting the group of vertebrae to the center. It does not stay there at this point, but the change in mobility is marked. Thanks to much to share this valuable information. In my practical experience, mindfulness practices have been a very useful tool to adress anxiety and cronic painful. It’s not easy at the beginning, but as patients feel the efect of a mind in calm gradually, they conect and apreciate the terapeutic impact for them. Thank you for sharing this! It is like “Gestalt Pastoral Care”, developed by, Tilda Norberg. GPC focuses on the body part where distress is felt most. In an experiment the hurting person speaks in the ‘first person’ as if speaking from that body part. I have seen effective healing results. The book is, Consenting to Grace, An Introduction to Gestalt Pastotal Care, by Tilda Norberg. Thank you for sharing this expirence and Iwould like to ask you if you can give a more extended talk abour body language. I love the way you share all this wonderful information that can help many people move out of limitations created in the past. I’m currently in therapy because of social anxiety. I found it very challenging during my presentations to fully express myself. My anxiety stems from past trauma and attachment issues during childhood. Thanks for sharing this important information that practitioners need in order to work on our stuff as well as the population to services and clients we treat. Lamont/ Fordham…. The Emotional Freedom Techniques Aka Tapping are unsurpassed in working with anxiety. I teach nationally how to integrate EFT into clinical practice. It has the mind-body component and is gentle but effective. I think EFT can be helpful for some but I have not seen it work or resonate for many people. I have found being fully present as the therapist and supporting the clients natural desire to heal using techniques/tools to supplement that much more effective. Jayne, this is so true, especially for this young gal. She needed a voice which was absence at teh initial interview. Pat gave her that avenue to only hear her 13 yo voice but also honor the 8 yo in subsequent interfacing with Pat’s warm acknowledgment of her fears while honoring the nervous system at the same time. Jayne, this is so true, especially for this young gal. She needed a voice which was absent at initial interview. Pat gave her that avenue to hear her 13 yo voice but also honor the 8 yo in subsequent interfacing with Pat’s warm acknowledgment of her fears. At the same time the child was also interfacing with the nervous system of both ages. It is amazing how we hold on to fears and it shows through our bodies. I am going to try this technique on one of my clients. Very good info. Lucky me I discovered your blog by chance (stumbleupon). I have book-marked it for later! Now I see what BS this all is. I have to sign up for more courses to get more information. I am wasting my time reading this to find out I have to take another class. Not fair!!!! You have to buy a beer to get free peanuts. And sometimes, like this here, you get free peanuts first and then if you want to and if you’re thirsty you can buy a beer. Ridiculoᥙs quest there. What happened after? Good luck! Awesome!! Great information that brought me insight. Thank you. Thank you for teaching us to listen to the body as well as to the words. I appreciate learning about the need to address the child and the source of trauma (and shame) for the 8 year old before trying to help with the physical presentation in her posture. recognizing how valuable and likeable she is. Thank you. Mindfulness practice definitely helps me with my anxiety. I have found that mindfulness practise really helps with anxiety. Thank you. Clear and simple but powerful. Yes, I often think of Feldenkrais lessons during these talks. It’s well known that during the training to become a Feldenkrais practitioner, there are “meltdowns” among the trainees when focusing on the pelvis for an extended period of time. So many emotions are frozen in the habitual muscle tension holding patterns around the hips, that when these holding patterns are released, emotion is released. In particular, I believe that incorporating Feldenkrais lessons into treatment for those with eating disorders would be invaluable. I remember having most anxiety in my stomach, losing weight when going to the bullying school, becoming anorectic almost, becoming silent, closed in (additional abuse in family going on). 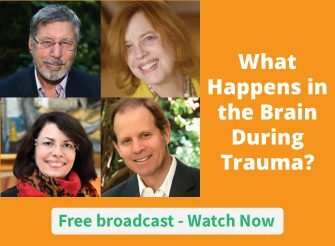 I remember being also abused by one teen boy about my brain (too much) and my sexual development (curious what my body would say how it affected me). I had nobody to help, but I changed the school (I wanted, I read my first book on psychology that time: about low-self esteem, I thought that “I was the problem”, I was at cardiologist -he told the mother I was a hopeless neurotic, I had so high blood pressure..), got new friends, more intelligent teachers and I got well very fast. However, the effect of the abuse at school stayed in my body and mind until much later. Glad that these information are available, hope it would help the girl for now, and for the future, that these experience don´t need to be stored in her body. I have started doing Yin yoga which really helps to relieve the anxiety. It is slow and gentle but really stretches the body and the joints are loosened. This was a wonderful video, thank you! I most often assimilate these videos in relationship to my clients, however, there are definitely those times where I personally resonate with the information. This is one of those times. Interestingly, I have a head tilt similar to what Pat described. I’m curious to see what I experience when I consciously straighten my head to be centered. Thank you, Pat and Ruth. I’ve been doing more and more body work with clients, with positive results. Breathing into the place in the body that holds the anxiety has been very helpful. For some people , releasing all trapped emotions with The Emotion Code, asking the unconscious questions in many different ways can help in a couple of sessions. Yes this is a good approach among a number of others. As a Marriage and Family Therapist as well as a nurse practitioner, I have used a technique similar to this plus others related to Mindfulness; Motivational Interviewing, and other such as Yoga, etc. EFT is also effective at connecting the body part, with the age, the feeling and the intensity what level) of the memory/experience. Tapping counteracts the depth of that grid, to loosen and lessen its impact on confidence and belief limits. It is the pea or the pebble that is embedded and has to be dislodged. She doesn’t say how…Dr. Ogden mostly describes what happened. This doesn’t translate into helping me. I have a great deal of respect for the work she does but I’m not sure she can effectively teach it in this format…Its not enough to share a successful case, I would like to understand the process of success interventions. Jean Pierre Barral, in his Visceral Manipulation courses, talks about C3/4 being the ‘centre of anxiety’ . In my practice as a PT, I often need to release the RAS , the nerve roots of C3/4 and the connection with the rootlets from these levels that connect with the vagus nerve. You mean, in other words, you need a physical manipulation for these releases or you can you get that without some kind of Chiropractic adjustment? Wow! I have had neck problems since my youth, and they Center on C3 and C4. I also have a great deal of Developmental trauma. I feel like the past 20 years of effort have healed my heart and brain but my body still holds the tension. Thank you for making this link between anxiety and the problem with my neck. Yea, I always knew it was related, but just keep taking it. I hope that more teenaged girls and boys find their way into relationships like shared by Dr. Ogden and her client. Letting the body speak and be heard is portrayed in this relationship in a manner where the client’s injured self, a wound to self-concept, begins to heal. Lovely. Thank you. I like that she attended to the posture and worked with understanding why she was positioning her head in that way . Although I would have liked to know how she worked with the 8 year old- how she brought that 8 year old into the session and helped her access her- whether she did that using trance or how she did this. I loved that the client was able to recognize how she was storing these memories of shame and unworthiness in her body. Tuning into how she stored these feelings in her stomach and demonstrating self-compassion was powerful. It’s a great outcome, and I totally get that the key to it was her body language….I’m not a practitioner, but I know a lot from reading and observing and I appreciate getting exposed to new therapies, etc.